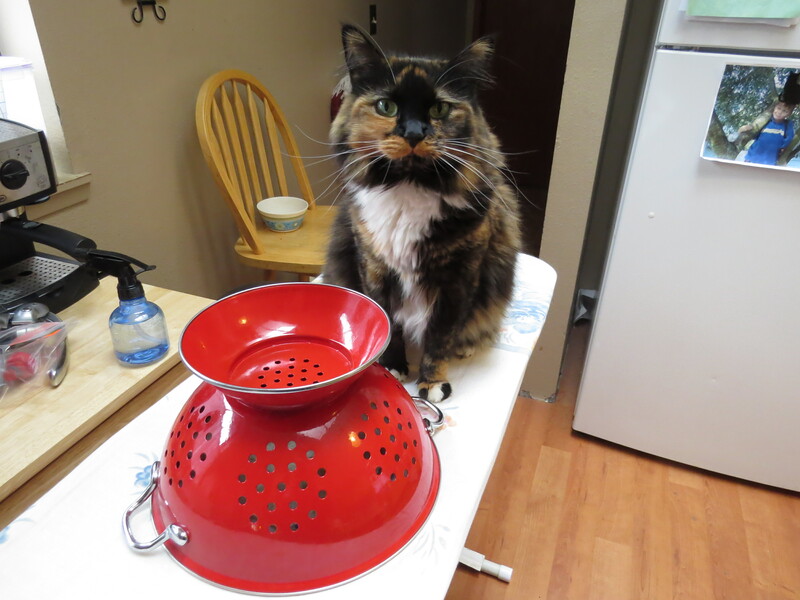 The inverted salad spinner also protects my completed knitting from my cat while it’s being blocked (pinned in shape to my ironing board, dampened, and left to dry in the hopes that this last ditch effort will transform my project into something more closely approximating my original intent). If the pinned fabric is left defenseless, my cat pulls out the pins and tosses them to the floor like a French designer having a sartorial fit over an ill-conceived garment. 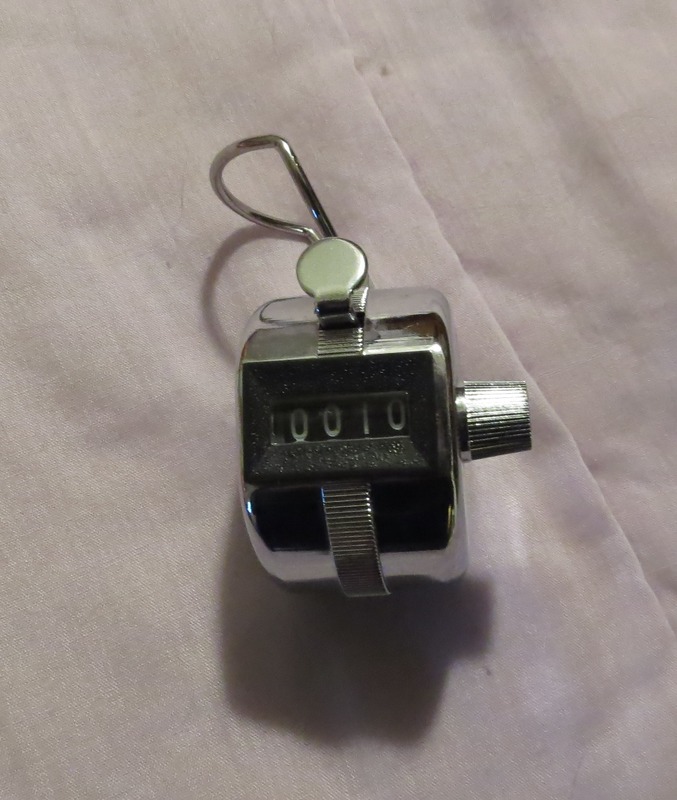 I also of course worry that one of the pins will go down her throat instead of batted around the floor like a scurrying mouse–and left for a bare foot to locate during a midnight foray for Wheat Thins. Lioness foiled by the caged bag. Either that or she is feeling wrinkled and is waiting to be ironed. 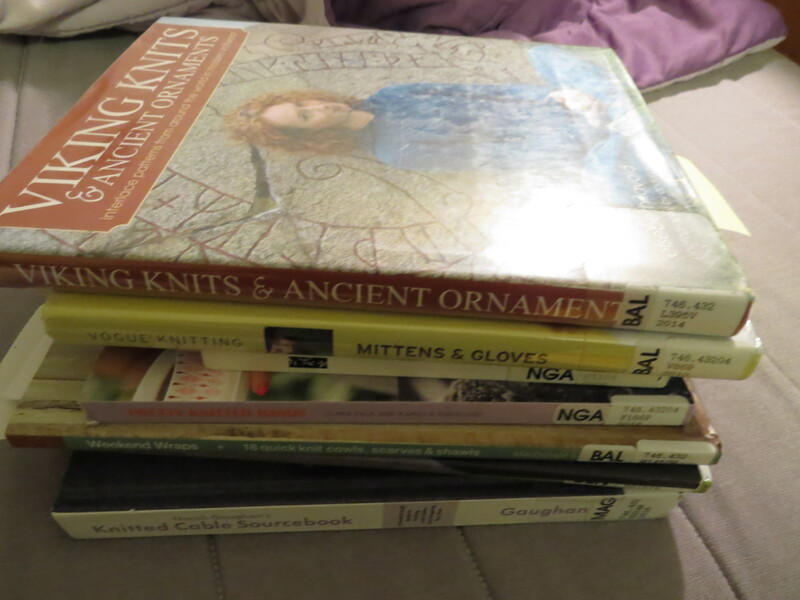 I’ve spent $500 on knitting supplies in six months of knitting, not counting the pricey set of needles my mother picked off of my extensive holiday wish list. I am positive that knitting did not cost this much for my grandmother: her yarn came from Woolworths, not the back of a Himalayan yak. 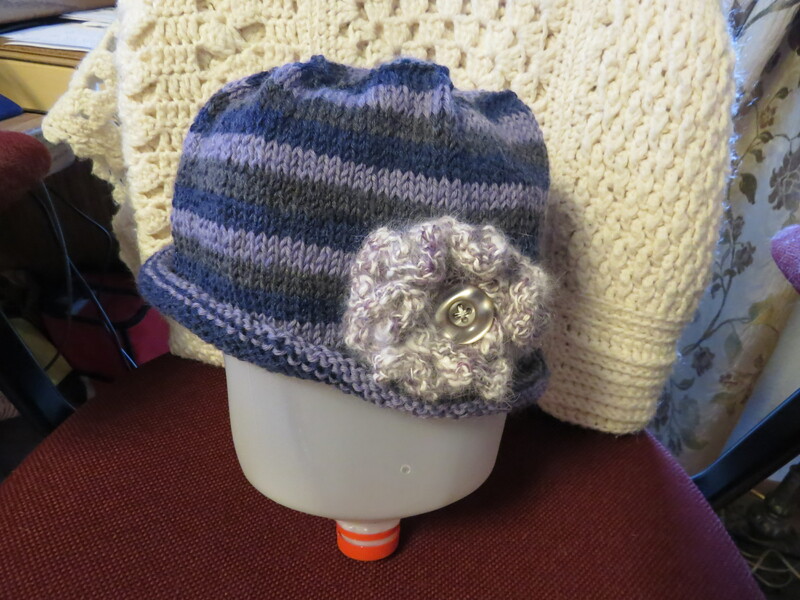 Here are some of my tips for keeping knitting costs down. An upside-down milk jug doubles just fine as a hat rack. Hint: make sure it’s empty first. 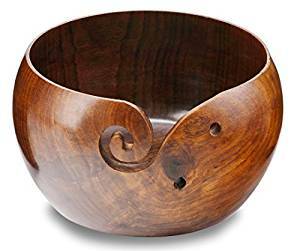 Shop online for a fancy yarn bowl, which is just a bowl with a crack in the side, or purchase a Gravy Boat or Soup Tureen from the local thrift store. It looks pretty nice on the living room coffee table, though it also makes me crave turkey and stuffing. 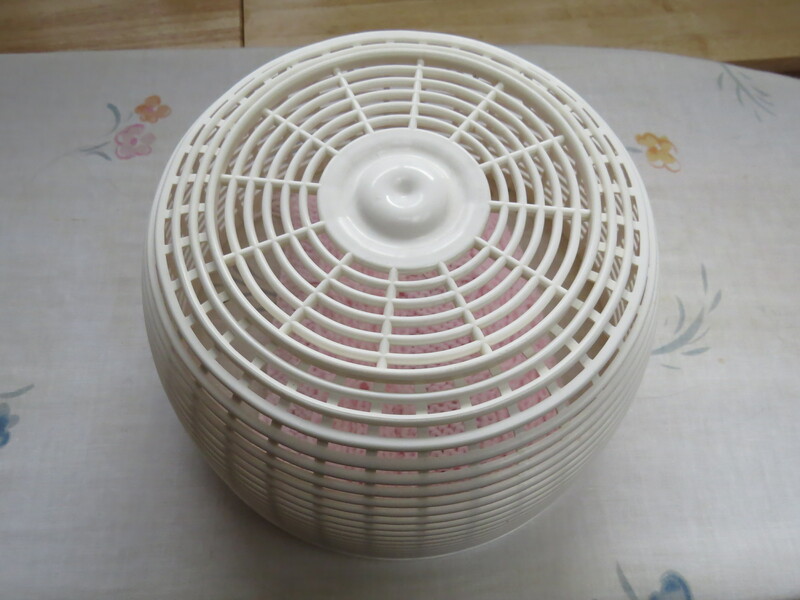 This versatile substitute will also store your knitting supplies safely overnight. 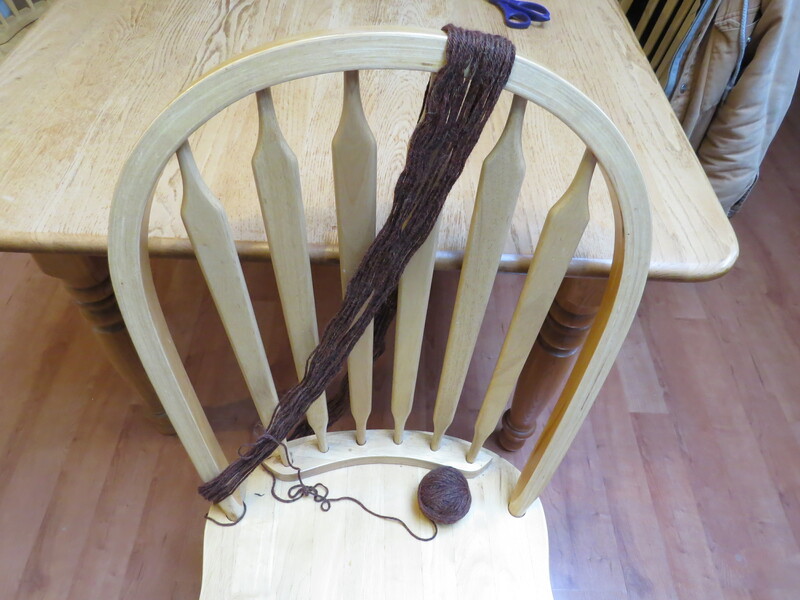 Buy a fancy ball winder, or use the back of a chair and burn a few extra calories. 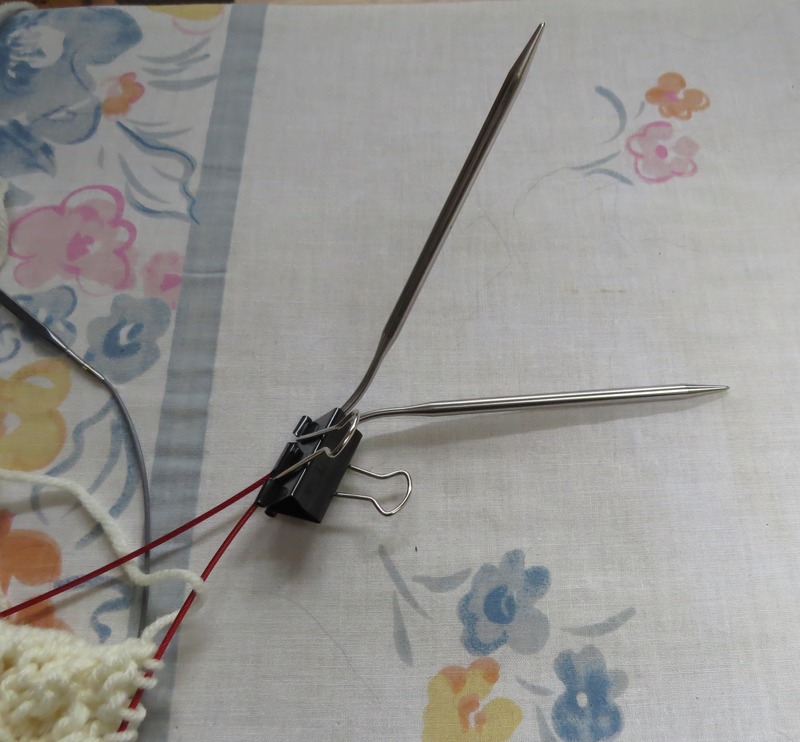 Needle Protectors keep your work from sliding off the ends of the needles, and also prevent you and pickpockets from stabbing yourselves when reaching into a knitting bag. 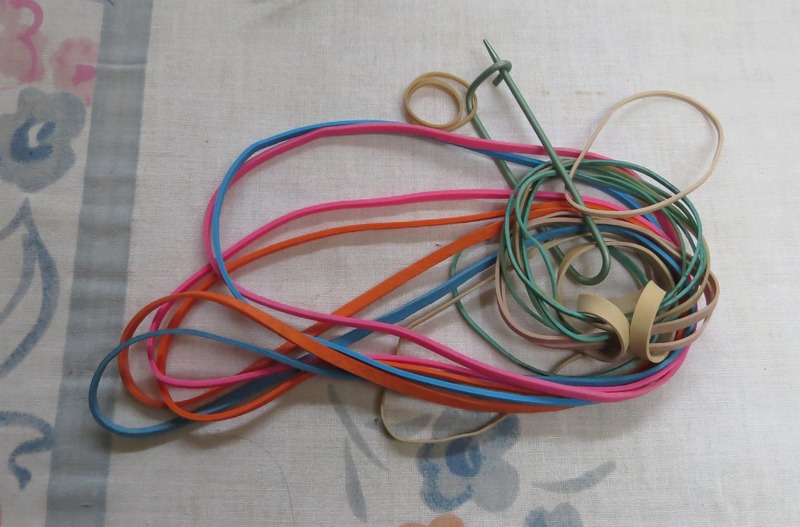 So will rubberbands. I have a full set. Some of these may or may not have come from a certain someone’s place of employment. I might also use a binder clip. 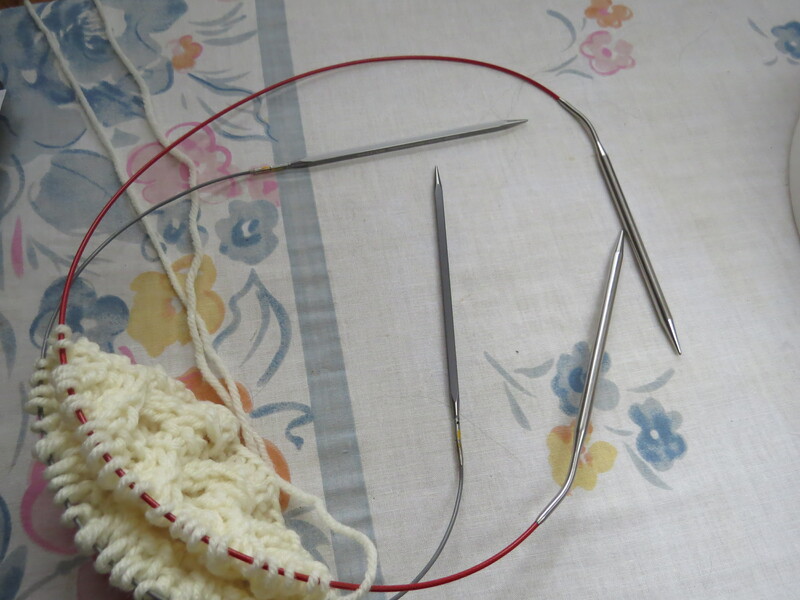 Patterns caution to never ever use two different sets of needles when you are using two sets of cable needles to knit in the round. 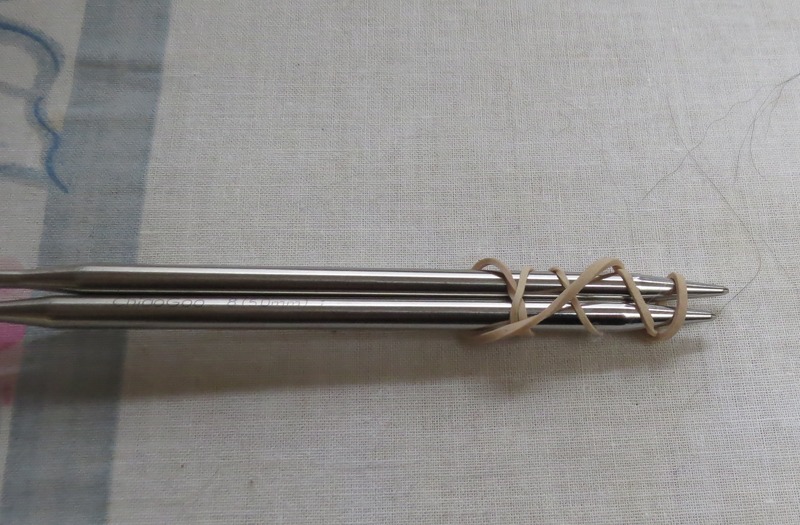 The two pairs of needles must be identical in all respects. Pshaw. Who has enough dough lying around to buy an additional set of every circular needle they own? Not me. So if my sleeves or socks look a little lopsided, just remember, it’s a known fact that all of us have a shorter arm and leg. 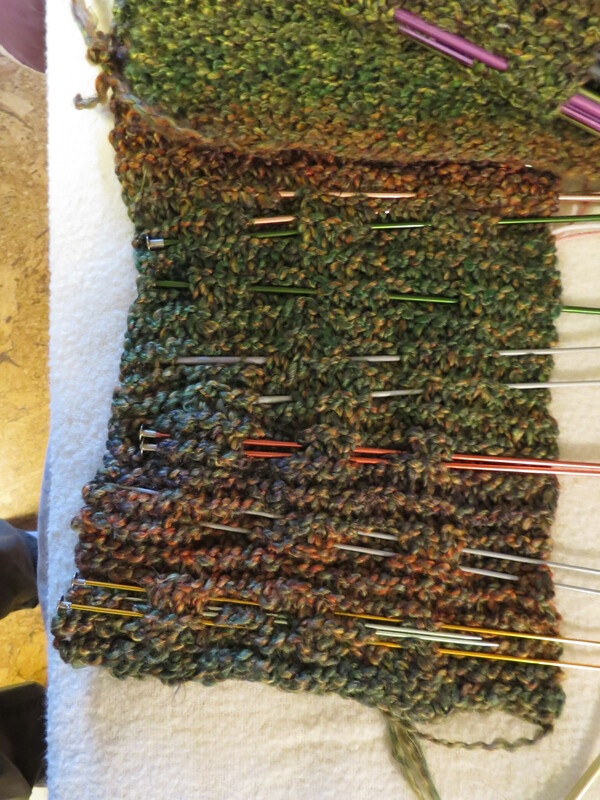 The issue is not that one set of my needles is round and the other square. 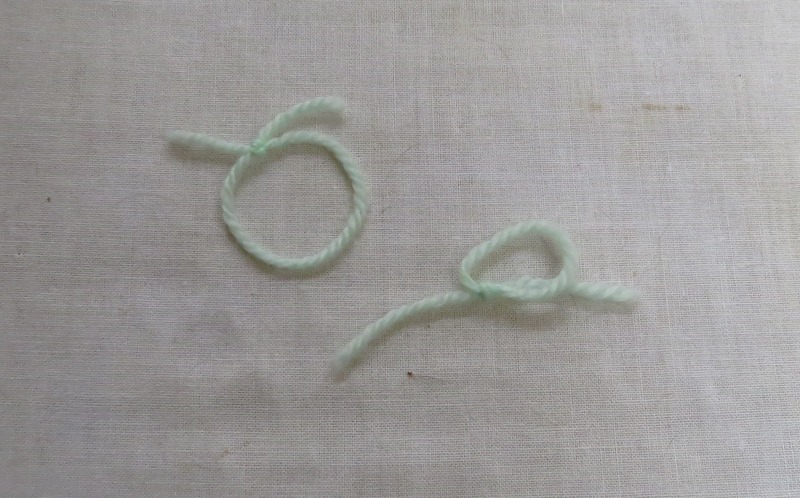 For those of us who can never remember where the hell we are in a pattern, there’s something called a stitch marker, to mark our our place: sort of like we used to do when we were once upon a time able to hopscotch. These can look an awful lot like those kitschy baubles used to keep track of whose wine glass is whose at a party. But I prefer scraps of yarn. They’re more flexible, I can always find one, they don’t make a horrible clacking sound when they get sucked into the vacuum cleaner’s carpet attachment, and they don’t make me crave a martini. And they’re free. 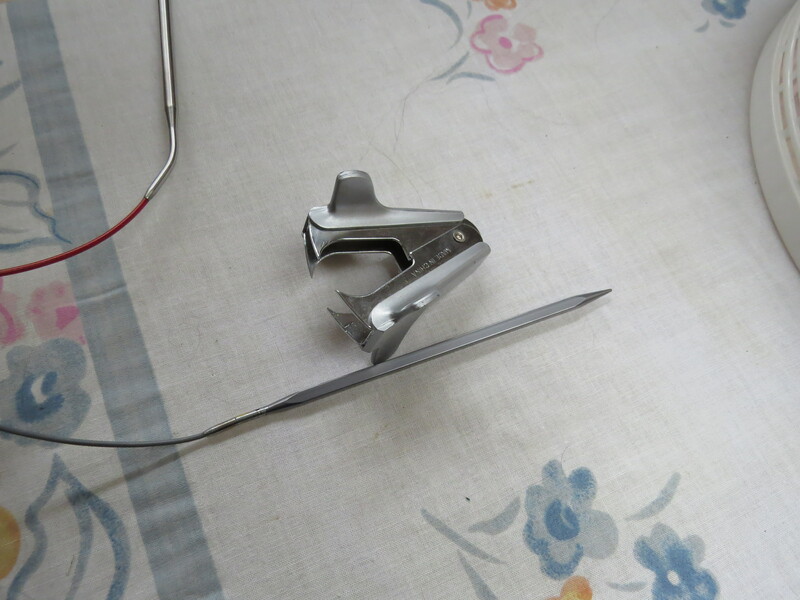 The fancy Tweezer Tool for my slick set of square, titanium knitting needles doesn’t work so well. My solution? A staple remover. And if I ever tire of the titanium needles? Perhaps my surgeon can melt them down into screws to keep me from falling apart. Or I can melt them down into a new wedding ring, since mine seems to be shrinking. 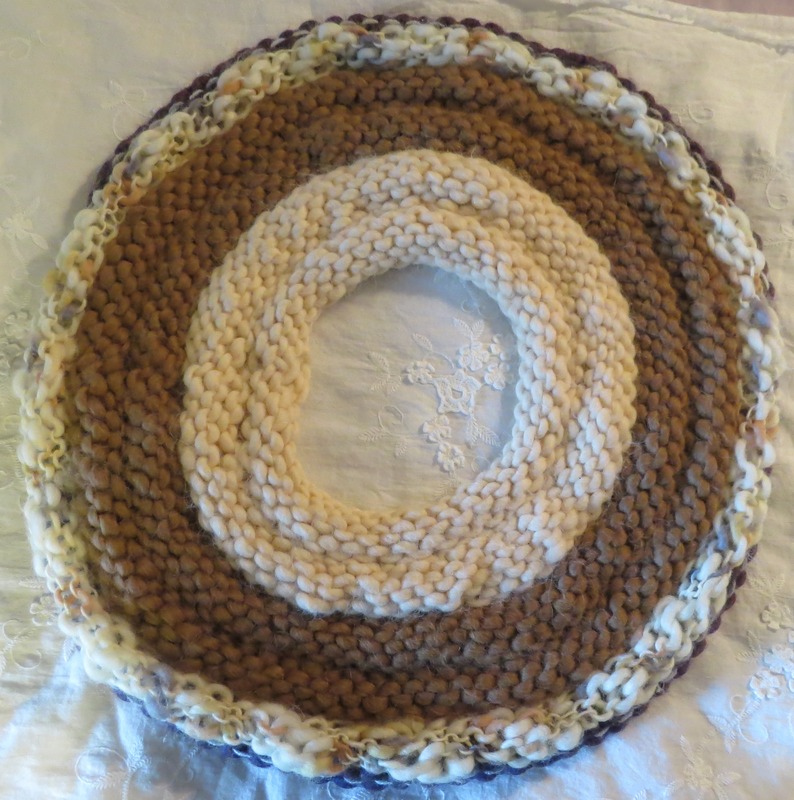 For a too-tight project that needs to be stretched? 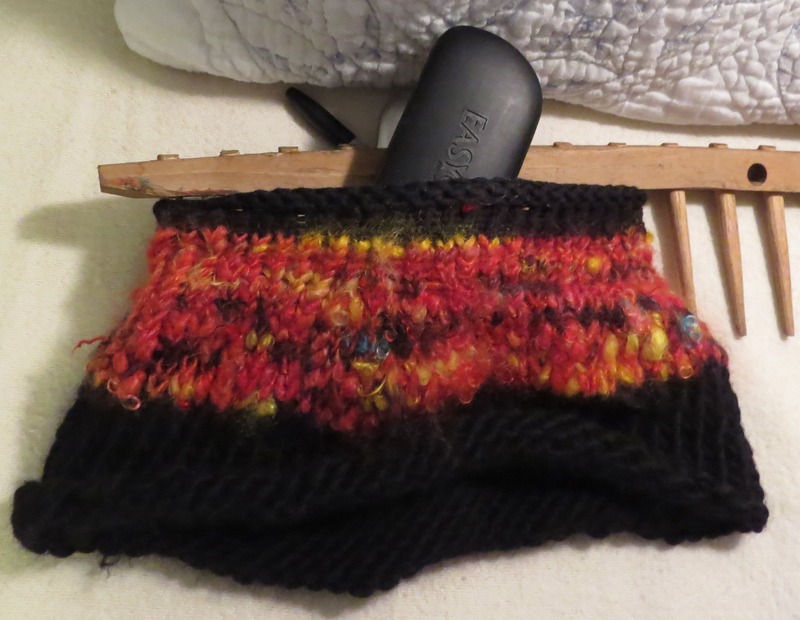 An old garden-rake head and an eyeglasses case. 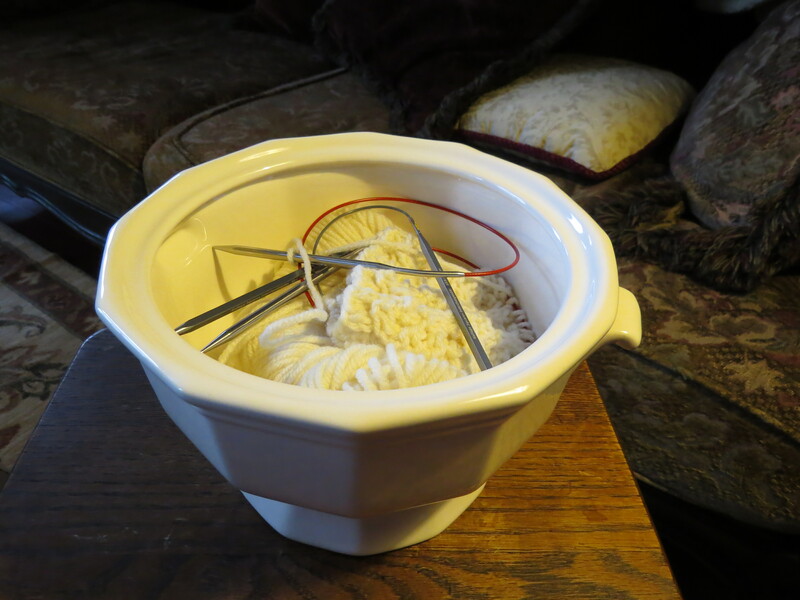 Scraps, the kind gift of several knitting friends, make up a large part of my yarn stash. 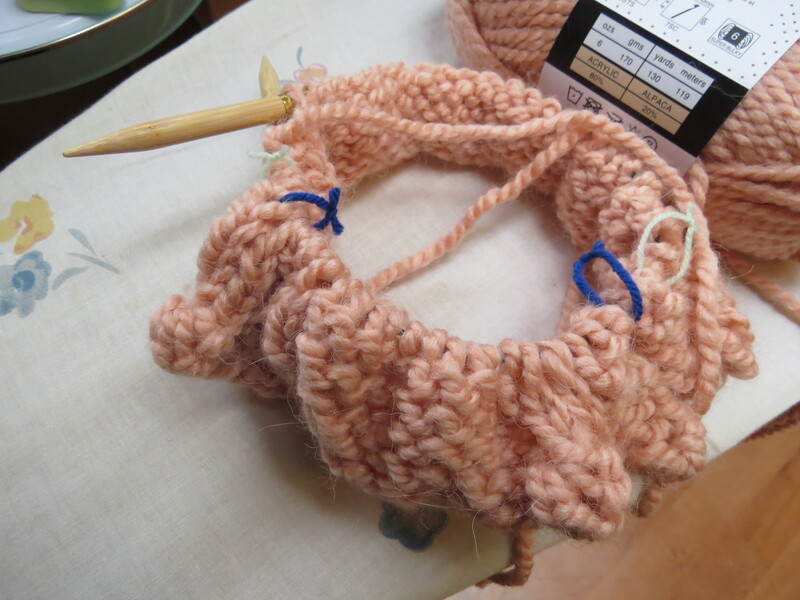 Scraps allow me to get creative and invent my own patterns, such as this cowl, which used six colors of scrap yarn and can also double as a Frisbee, a cone of shame for your pet, an Elizabethan collar, or an alien costume. 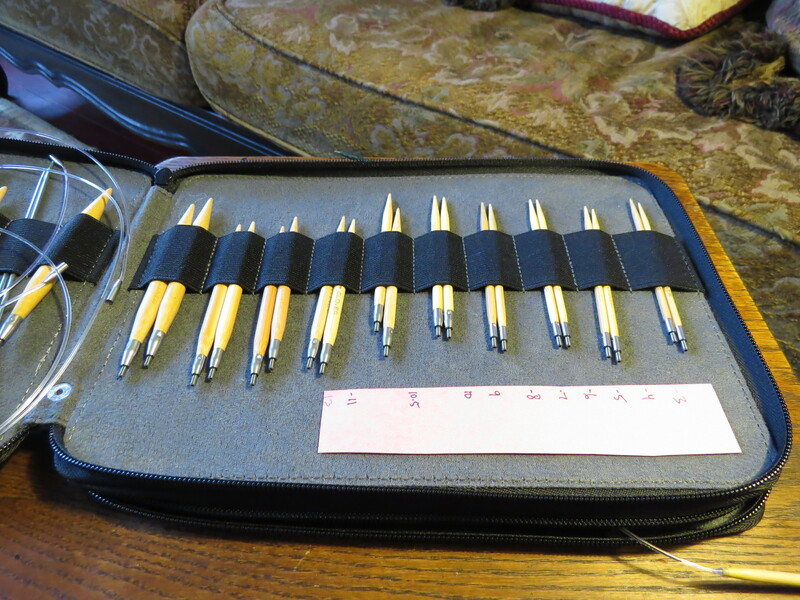 I wish I could say that this pencil case was cheaper than a special case for storing cable needles, but it wasn’t, because I bought it at a fancy art store. But it turned out to be free, because I gave it to the Man I Married to put in my stocking on Christmas morning. What’s my favorite money saver? Although I’ve spent a fortune in fines because I never want to give them up, at least I can say that the money is going to a good cause. 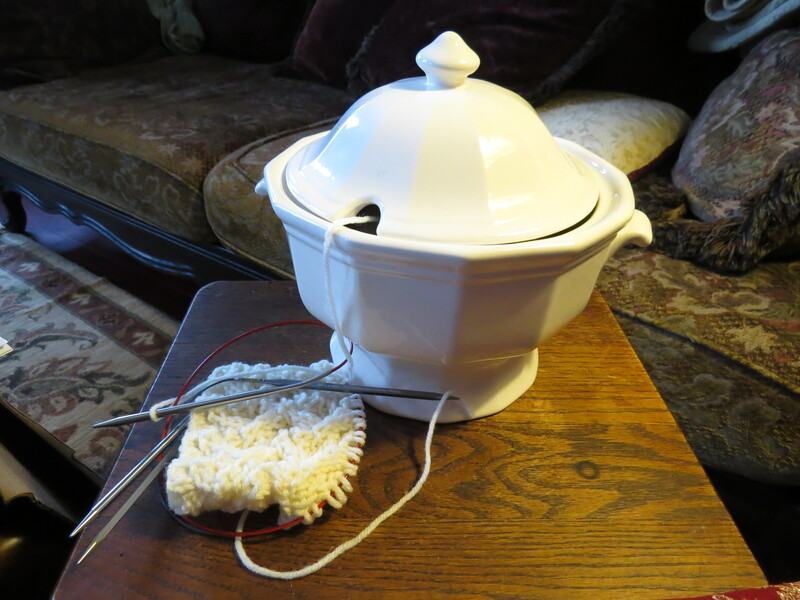 Knitting is not so very different from writing, in the respect of needing this or that gizmo. In theory, all you need to be a writer is a pencil and a pad of paper. But in reality there’s an endless supply of necessary equipment one needs in order to pursue one’s craft. I have an entire office devoted to writing and writing supplies. 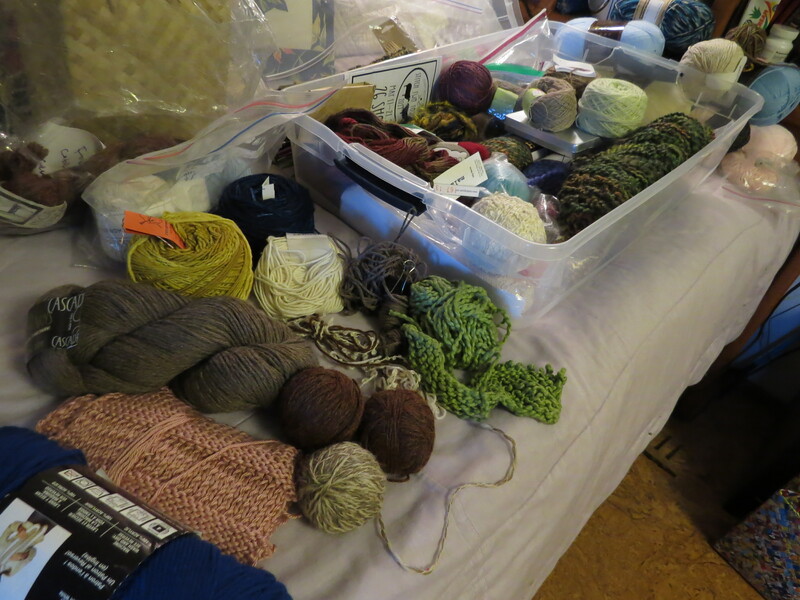 Although I’m going to have to pare down on some of that, to make room for more yarn.